Aromatase inhibitors (AIs) have become the standard of care for the adjuvant treatment of postmenopausal, hormone-sensitive breast cancer. However, patients receiving AIs may experience joint symptoms, which may lead to early discontinuation of this effective therapy. We hypothesize that acupuncture is a safe and effective treatment for AI-induced arthralgias. Postmenopausal women with early-stage breast cancer who had self-reported musculoskeletal pain related to adjuvant AI therapy were randomized in a crossover study to receive acupuncture twice weekly for 6 weeks followed by observation or vice-versa. The intervention included full body and auricular acupuncture, and a joint-specific point prescription. Outcome measures included the Brief Pain Inventory-Short Form (BPI-SF), Western Ontario and McMaster Universities Osteoarthritis (WOMAC) index, the Functional Assessment of Cancer Therapy-General (FACT-G) quality of life measure, and serum levels of inflammatory markers, IL-1β and TNF-α. Twenty-one women were enrolled and two discontinued early. From baseline to the end of treatment, patients reported improvement in the mean BPI-SF worst pain scores (5.3 to 3.3, p = 0.01), pain severity (3.7 to 2.5, p = 0.02), and pain-related functional interference (3.1 to 1.7, p = 0.02), as well as the WOMAC function subscale and FACT-G physical well-being (p = 0.02 and 0.04, respectively). No adverse events were reported. In this pilot study, acupuncture reduced AI-related joint symptoms and improved functional ability and was well-tolerated. 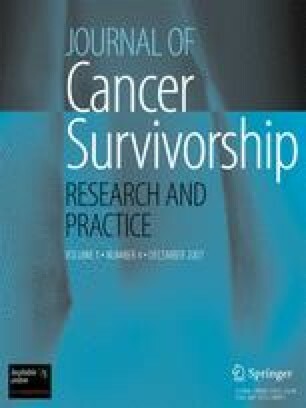 Musculoskeletal side effects are common among breast cancer survivors on adjuvant AI therapy, therefore, effective treatments are needed for symptom relief and to improve adherence to these life-saving medications. Dr. Crew was the recipient of an NCI-funded postdoctoral fellowship (T32-CA09529) and a Lance Armstrong Young Investigator Award. Dr. Hershman is the recipient of a K07 Award from the NCI (CA95597). This research was funded by a grant from Women at Risk and the Avon Foundation. Cancer Therapy Evaluation Program, Common Terminology Criteria for Adverse Events, Version 3.0, DCTD, NCI, NIH, DHHS, March 31, 2003 (http://ctep.cancer.gov). Vas J, Mendez C, Perea-Milla E, Vega E, Panadero M, Leon J, et al. Acupuncture as a complementary therapy to the pharmacological treatment of osteoarhritis of the knee: randomised controlled trial. Br Med J. 2004;DOI 10.1136, 1–5.